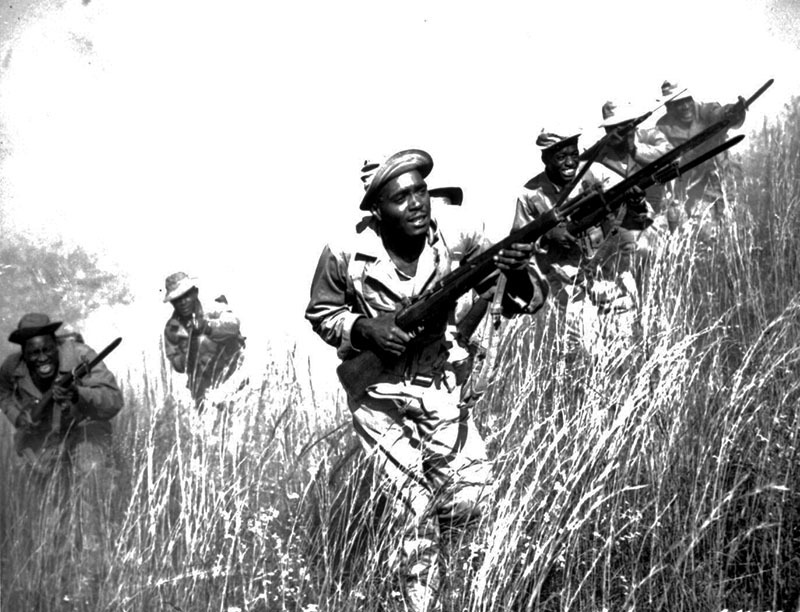 A squad from the 92nd Infantry Division, a segregated African American unit, training at Fort McClellan near Anniston, Calhoun County, in 1942. The fort was established as Camp McClellan during World War I, and during World War II a prisoner of war camp was built at the site. The fort closed in 1999 and the city of Anniston has transformed the area into a residential community.